Ms. Imam’s practice primarily focuses on the defense of claims arising under the Longshore and Harbor Workers’ Compensation Act (LHWCA) and the Defense Base Act (DBA). 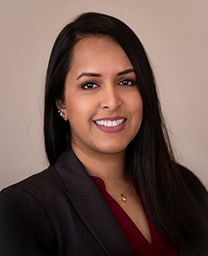 Ms. Imam received a Bachelor of Arts degree from Rutgers University in 2016, and a Juris Doctor degree from Baylor University School of Law in 2018. During law school, Ms. Imam was a Technical Editor for the Baylor Law Review, where she was also published as an author. She actively participated as an officer in Phi Alpha Delta Law Fraternity. Ms. Imam was admitted to the Texas Bar in November 2018. She is currently a member of the American Bar Association and the Houston Young Lawyers Association.